The second European Tour event, which took place between Friday and Sunday in Berlin, saw plenty of highlights for MODUS before a brilliant Phil Taylor took victory in the German Darts Championship. James Hubbard produced the shock of the weekend when he triumphed 6-4 over back-to-back World Champion Adrian Lewis in the first round on Friday. The PDC Unicorn World Youth Champion went on to beat Peter Wright in round two, before missing out on a quarter-final spot when he was beaten by Mervyn King. “The win against Adrian was the biggest of my professional career,” said Hubbard, who only joined the Pro-Tour in January. “I had an excellent tournament and gave myself an outside chance of qualifying for the World Matchplay in Blackpool. A last eight spot signalled a return to form for King, who enjoyed victories over Peter Hudson, Wayne Jones and Hubbard, before losing out to eventual runner-up Dave Chisnall. Simon Whitlock put together a brilliant run to semi-finals, before being denied the chance to take on Taylor, in a repeat of the McCoy’s Premier League final, by Chisnall. ‘The Wizard’ began his campaign by whitewashing Daniel Starkey 6-0, before defeating Brendan Dolan in round two. He then posted a brilliant average of 106.83 in a 6-2 third round success over Kevin Painter, before victory over Kim Huybrechts saw him reach the last four. Raymond van Barneveld beat Mareno Michels, Alan Tabern and Mark Webster before meeting Taylor in the quarter-finals. ‘Barney’ ran ‘The Power’ closer than anyone, forcing a deciding leg in their quarter-final clash. But Taylor snatched victory and left Berlin as a deserved winner, after posting multiple hundred-plus averages on the way to landing the £15,000 title. Simon Whitlock and Raymond van Barneveld won through to the quarter-finals of the second European Tour event with victories on Sunday afternoon, while James Hubbard’s impressive run in Berlin was ended by Mervyn King. Whitlock produced a stunning display to reach the last eight of the German Darts Championship, averaging 106.83 in a 6-2 defeat of Kevin Painter. “I’m really pleased with how I played there,” said ‘The Wizard’, who conjured up five 180s in his victory over the 2011 Players Champion. 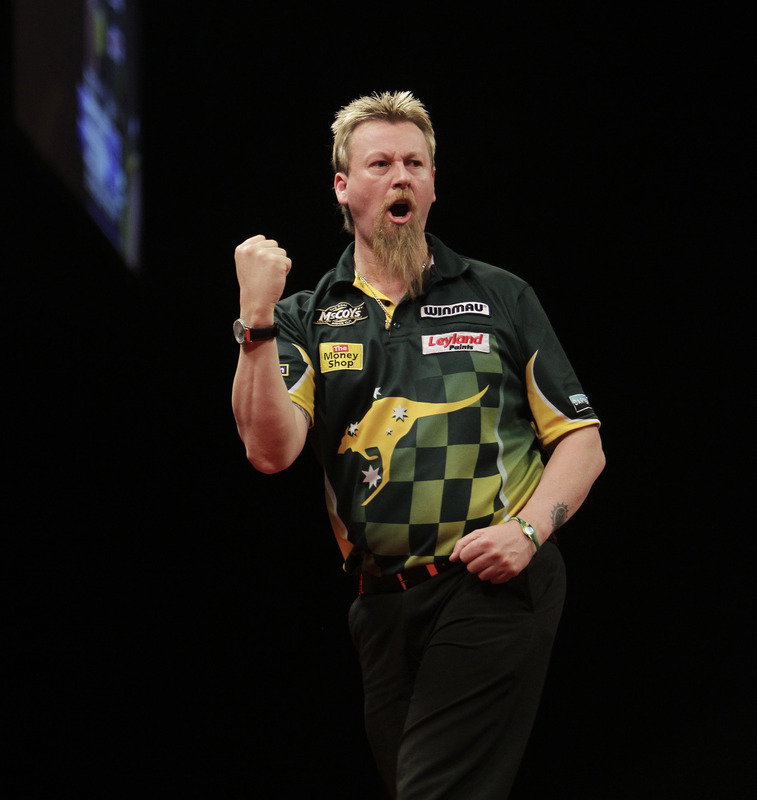 Whitlock will take on Kim Huybrechts in the quarter-finals on Sunday evening. 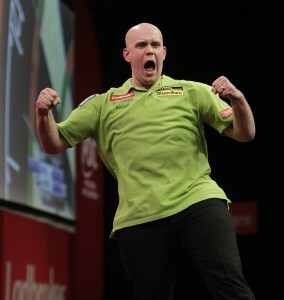 ‘Barney’ set up a mouthwatering quarter-final against old rival Phil Taylor, after the Dutchman beat Mark Webster 6-3. King saw off the challenge of his practice partner Hubbard, triumphing 6-4 in a match that included seven breaks of throw. “I’m happy to get through but disappointed for James because we practice and travel together,” said ‘The King’, who faces Dave Chisnall in the last eight. 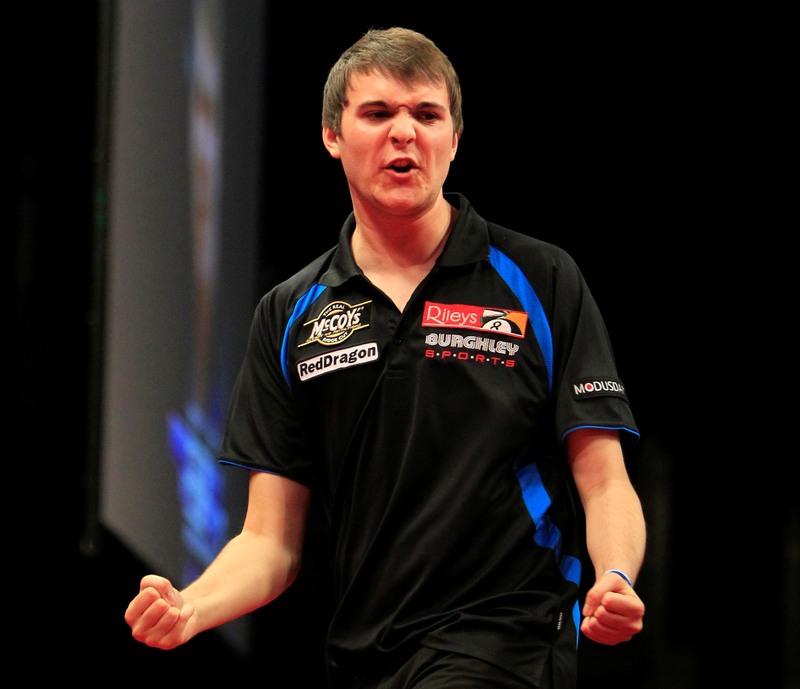 That result brought an end to a memorable weekend for 19-year-old Hubbard, with the World Youth Champion claiming a shock victory over World Champion Adrian Lewis in the first round. Hubbard, who only turned professional in January, also defeated Peter Wright before losing out to King. Co Stompe also missed out on place in the last eight, after a 6-4 defeat at the hands of Austrian Open winner Justin Pipe. Sunday evening sees the remaining eight players compete in the quarter-finals of the £82,100 tournament, with the semis and final also being played out on the night. 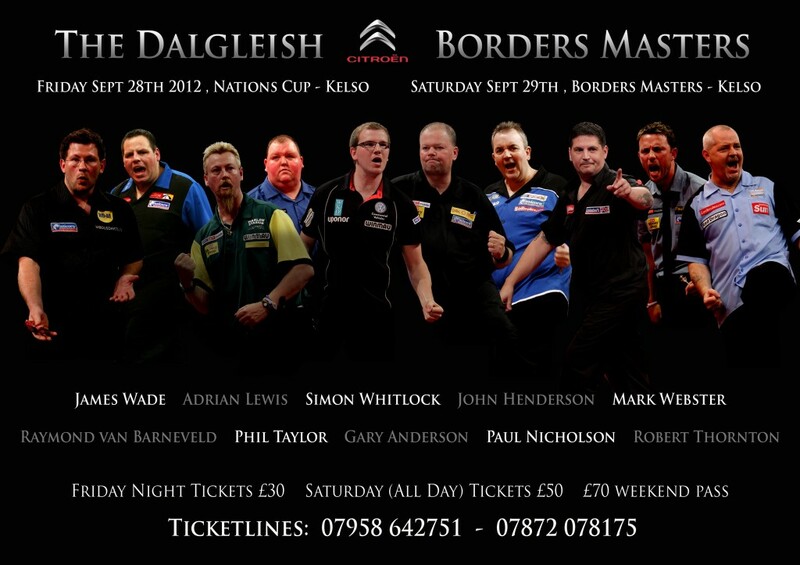 See four of the world’s top professional darts players go head to head in the Charlton Masters on Thursday 19 July. Simon Whitlock secured a hard-fought victory over Brendan Dolan in the second round of the second European Tour Event in Berlin, as he hit three ton-plus finishes, including a 170, in a 6-5 triumph on Saturday. James Hubbard, Mark Webster, Raymond van Barneveld, Meryvn King and Co Stompe also progressed to the last 16 of the German Darts Championship. Whitlock had to break Dolan in a tense last-leg decider to win a high quality match, in which ‘The Wizard’ also produced checkouts of 128 and 106. “That was a great game. Brendan was fantastic,” said Whitlock, who will now face Kevin Painter on Sunday afternoon. Hubbard, who continues to impress on the professional tour, added a 6-3 triumph over Peter Wright to Friday’s defeat of World Champion Adrian Lewis. The 19-year-old will face Mervyn King in the last 16 on Sunday afternoon after King progressed with a 6-3 triumph over Wayne Jones. “Peter missed a few doubles and you’ve got to ride your luck sometimes if you’re going to win tournaments like this,” said the World Youth Champion, who only turned professional in January. Webster beat Colin Osborne 6-4 to book his place in the last 16. “We both missed chances and I’m just glad to be through,” said Webster, who faces van Barneveld on Sunday afternoon, after the Dutchman completed a 6-3 victory over Alan Tabern, with ‘Barney’ posting an average of 103.12 in his second round win. Fellow Dutchman Stompe will play Justin Pipe in the last 16, after defeating Michael Barnard 6-5. Paul Nicholson and Vincent van der Voort both missed out on last 16 spots, after Nicholson suffered defeat at the hands of an in-form Colin Lloyd, while van der Voort was beaten by Ronnie Baxter in a last-leg decider. James Hubbard produced a major shock in the PDC’s second European Tour Event with a 6-4 defeat of back to back World Champion Adrian Lewis. The 19-year-old, who won the PDC Unicorn World Youth Championship last month, showed his class by breaking the world number two twice, as he progressed to round two with 96.11 average. Australian pair Simon Whitlock and Paul Nicholson enjoyed first round victories, while Raymond van Barneveld and Mark Webster also booked their places in round two of the German Darts Championship. They are joined in Saturday’s second round by Mervyn King, Vincent van der Voort and Co Stompe after a high-quality opening day, which saw Colin Lloyd hit a nine-dart finish. Whitlock progressed with a 6-0 whitewash over Daniel Starkey, while Nicholson beat Andre Welge 6-3 with a brilliant three-dart average of 104.36. ‘Barney’ cruised to a 6-1 victory over Mareno Michels, while Webster saw off his namesake Darren with a 6-4 success, setting up a second round clash against Colin Osborne. Dutch duo Stompe and van der Voort defeated Sam Hill 6-2 and Jim Walker 6-5 respectively, while Mervyn King triumphed 6-3 over Peter Hudson. Michael van Gerwen suffered an early exit though, with defeat at the hands of Justin Pipe in a thrilling first round encounter, in which both players averaged around the 100 mark. Andy Jenkins was unfortunate to have been edged out 6-5 by Ronnie Baxter, after leading until the penultimate leg. 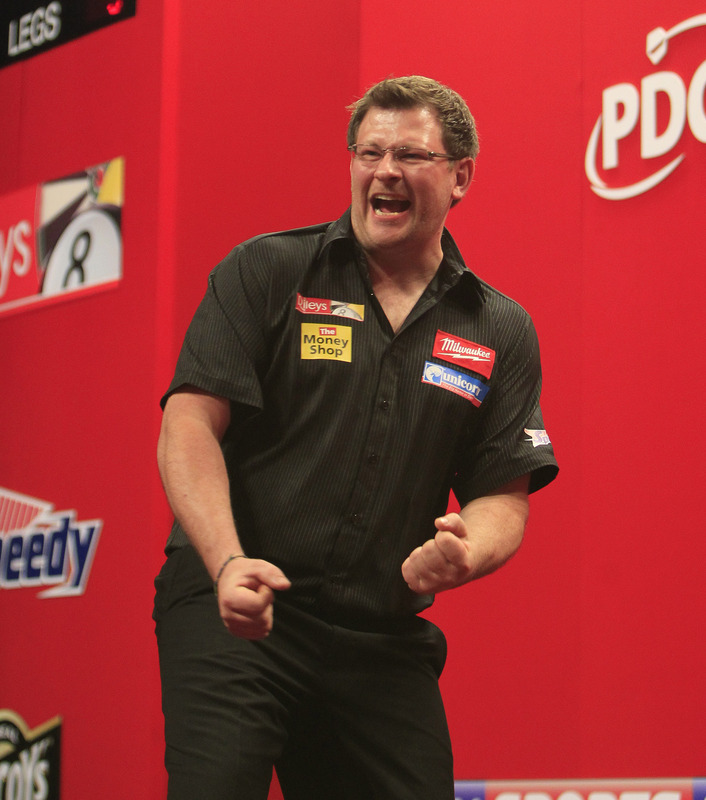 James Wade also suffered defeat in a last leg decider, losing out to Austrian opponent Mensur Suljovic. The second round takes place over two sessions on Saturday, with Whitlock taking on Brendan Dolan in the afternoon session, which also sees King face Wayne Jones, Nicholson take on nine-dart hero Lloyd and van der Voort versus Baxter. Hubbard faces Peter Wright on Saturday evening, when Stompe takes on Michael Barnard and van Barneveld plays Alan Tabern. Michael van Gerwen is hoping to continue his good form when he competes in the German Darts Championship European Tour event this weekend. ‘Mighty Mike’ stormed to victory in Birmingham on Sunday, claiming his second Pro-Tour victory of 2012 with a string of impressive performances. One of his most notable wins en route to his Players Championship triumph was a 6-1 success over Justin Pipe, who he meets in the first round the Berlin tournament on Friday. “I was delighted with the win at the weekend after playing excellent darts,” said van Gerwen, who averaged almost 109 in his defeat of Pipe. “I was very pleased with the way I performed against Justin because it proved that I can play well against slower players. “I had already beaten Dennis Priestley and Mark Walsh, which gave me confidence going into the game against Justin. A good run for the young Dutchman in Berlin would help speed up van Gerwen’s charge into the world’s top 32. “I am on course to get into the top 32 this year,” said the 23-year-old, who is currently ranked at number 35. “I am focused on that now because I am too old for the youth tour and it is time for me to become an established player. PDC Unicorn World Youth Champion James Hubbard returned to his former school earlier this week with new sponsor Smart Darts 4 Kids. Hubbard, who was joined by Smart Darts inventor and owner Steve Mottershead, introduced Smart Darts to children at Ashleigh Infant and Nursery School at Wymondham on Monday. The innovative game features a dartboard with different numbers, an empty bullseye and a set of darts which stick to the board. Children can then throw the darts at the numbers and say the answer to the sum depending on where the darts land, while the bullseye circle can be used by the teachers to write on their own equations. Mr Mottershead said he came up with the idea for the course through his work as an announcer, which he said had improved his own maths skills. He said: “I spent many years calling darts scores in exhibitions and events. I noticed that my maths improved dramatically without me even trying. You can buy the game for £27.99 plus £1.99 p + p via the website or by emailing orders@smartdarts4kids.co.uk stating the quantity you wish to order. Michael van Gerwen powered to victory at Sunday’s Players Championship in Birmingham, as he hit form to claim his second Pro-Tour triumph of 2012. The Dutchman, who won a UK Open qualifier in Crawley in February, produced brilliant darts to clinch the £6,000 prize, culminating in a 6-1 victory over Simon Whitlock in the final. He had already beaten John Bowles, Jamie Lewis, Mark Walsh and Dennis Priestley before posting an enormous 108.94 average in his quarter-final against Justin Pipe, which the 23-year-old won 6-1.
van Gerwen saw off Speedy Services UK Open winner Robert Thornton 6-2 in the semi-final, before defeating ‘The Wizard’ in the final. 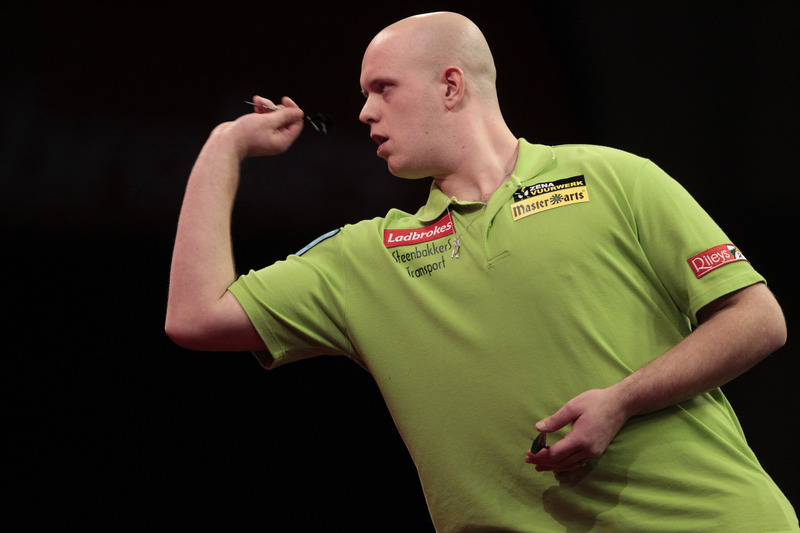 “It feels great,” said van Gerwen, who lost only four legs in his last three matches combined. 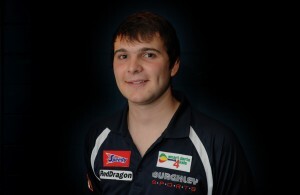 “It’s the third Pro-Tour event I’ve won since I joined the PDC and I played some good darts today. “I’m very happy to have won and it should help me qualify for the World Grand Prix as well as the World Matchplay, which is great. Whitlock continued the form that has seen him reach two of the three televised finals since the World Championship, beating Roland Scholten, Mark Dudbridge, Andy Hamilton and Andy Smith to reach the quarter-finals. The Australian ace then swept past Mervyn King and Wes Newton, as he reached the final and claimed £3,000 in prize money. Thornton boosted his hopes of qualifying for the World Matchplay with a run to the semi-finals, which included wins over Gary Anderson, Steve Beaton and a 6-0 whitewash over Richie Burnett.